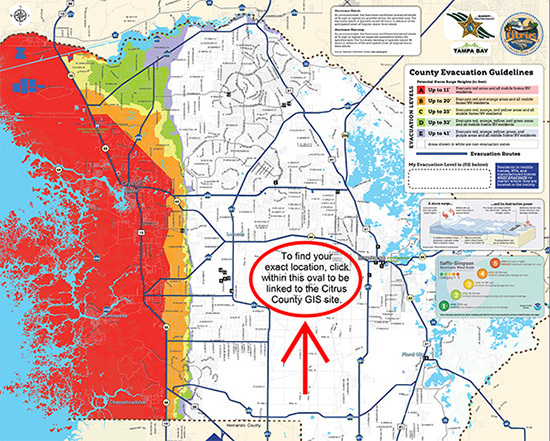 The acronym, F.O.C.U.S., stands for "Filtering Out Crime United with Students". It was created by Deputies Kevin Purinton, Phil Gaffney, Scott Farmer, and Tim Langer of our School Resource Deputy Program. 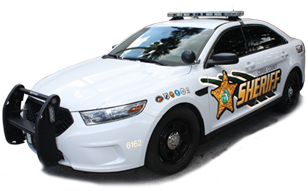 We felt that our drug and violence education program at the Citrus County Sheriff's Office should be tailored to the students of our county, so we developed this program especially for them. We began using this new drug and violence education program in August 2000. Some of the topics that are covered include drug education, resolving conflicts, gang awareness, assertiveness, peer pressure, consequences, self-esteem, and cyber safety. FOCUS is 10 weeks long and therefore is a little shorter than the 17 week DARE program. This allows for greater flexibility. With only about 18 weeks of school in each semester, it was hard to accommodate all 17 weeks of DARE due to school holidays, school testing, field trips, law enforcement training days, and other unforeseen events such as hurricane days. 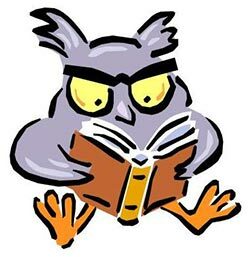 Our mascot is Otis the Owl. We also use various "eyeball" related items to represent FOCUS. The eyeball stands for "FOCUSing" on crime. 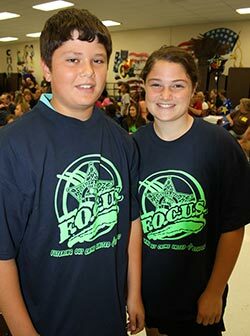 The FOCUS t-shirt is given to each student who completes the FOCUS program. FOCUS is taught in the 5th grade by the elementary school Resource Deputy that serves the school. In addition to FOCUS, another program, known as Junior FOCUS, is taught to all 1st graders in Citrus County. If you have any questions please contact a School Resource Deputy at 352-726-4488. After the Citrus County Sheriff's Office School Resource Deputy Program had designed and implemented the FOCUS program for the 5th grade students of Citrus County, a longtime school Resource Deputy recognized the need for Citrus County’s youngest citizens to learn basic safety lessons so they could be even safer at home and in their neighborhoods. The result was Junior FOCUS (Filtering Out Crime United with Students), a program taught to all first graders in Citrus County. This mini-program consists of six easy-to-follow safety lessons that can be taught at any time throughout the school year. For instance, in the lesson entitled “The Kitchen", kids learn about the potential dangers located in the family kitchen. They’re taught to know which areas in the kitchen are most likely to harm them. Even though the kitchen may seem like a fun place, youngsters learn about the obvious and hidden dangers there, and what rules to follow. To learn more about Junior FOCUS, please call Deputy Todd Farnham at 352-726-4488.